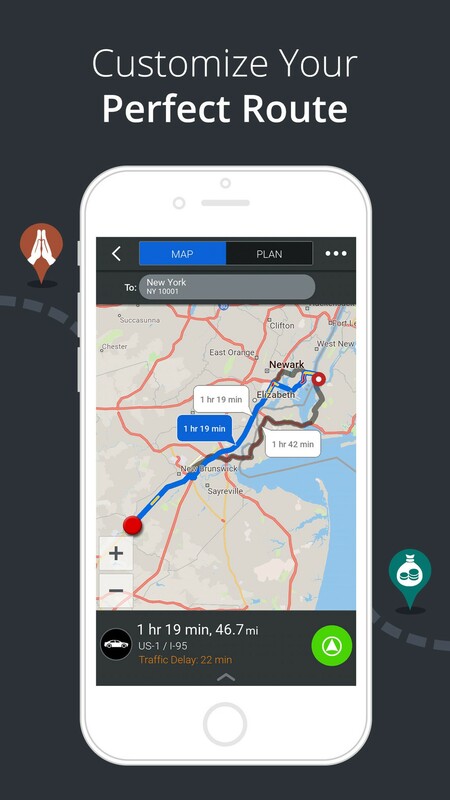 Looking for a great mapping app for your iPhone? Here are the best options! Our iPhones have replaced a lot of old tech by combining several old gadgets into one convenient product that fits in our hands. But it's also replaced other analog objects, like the old-school map and navigation system. I mean, no one likes to stop and ask for directions to somewhere, or ask where something is, so let's just have our phones do it for us. 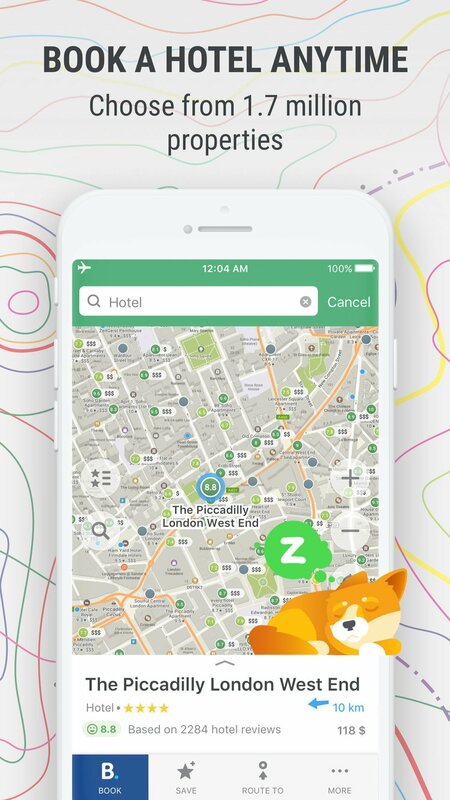 These apps are great for finding the places you want and helping you get there without ending up lost in a ditch. Apple's built-in Maps app should be the default go-to for many, including myself. You're able to see recent places you've been, or you can search for a new address or point-of-interest. It also pulls in data from Yelp for businesses, so you can see reviews and photos if they're available. The multiple turn-by-turn direction options get you where you need to go, though be prepared for some weird U-turns and routes. Apple used to use Google Maps for the built-in Maps app, but now you'll need to grab Google's standalone app separately. Google Maps features a robust search so you can find pretty much anything since the Google database is more up-to-date. Google Maps also integrates with their own Street View, so you can see where you're going before you get there. The turn-by-turn directions are clear, and you can customize it to avoid highways, toll roads, and bridges if needed. Google Maps also lets users download portions of maps to be used offline. This is great for road trips where your cellular signal may be spotty or nonexistent. Just make sure you have enough storage on your device, as those maps can get pretty big. Waze is one of the better ways to get around town if you live in a crowded metropolis. With Waze, you'll be able to search for points of interest with results coming from Google. When you find a spot you want to check out, select it and you'll get directions. The magical thing about Waze is that all traffic data is crowdsourced from other Waze users, so it's up-to-the-minute in terms of traffic reports, construction, police, and more. Waze is also great for helping you get where you need to be faster since it instantly reroutes you to avoid ugly traffic. To top it all off, Waze tells you where the cheap gas is so you can fill up and save some dough. When you want an all-in-one guide to everything around you and how to get there, then Where To? is an excellent app to have. Where To? is fast and intuitive. The wheel when you first launch the app lets you pick the category that you want to look for, and then you can choose from a huge list of subcategories. A comprehensive list of results show up in a few moments, or you can switch over to a map view to get better visuals. As you find a place you like, tap it to get all the details from Google, such as photo, address, phone, reviews, and more. You can get directions to the place with just a tap, and Where To? provides support for dozens of map applications, or you can even Send to Car (Audi, BMW, Mercedes-Benz, or Porsche) directly. Where To? also has their own in-app directions, but it's not turn-by-turn. HERE WeGo is a great free option that covers both the US and international. You can search for points of interest directly in the app or just input an address. HERE WeGo tells you all possible options for getting there, including public transit, and how long each one will take. There's also an option to download maps to have offline, in case you aren't sure whether or not you'll have good cell coverage where you're going. With the turn-by-turn directions, you'll also get alternate routes if there's traffic, so you'll always get to your destination on time. After all this time, MapQuest is still around, surprisingly. The MapQuest app is a good tool to have for several reasons, even though we have things like Google Maps. 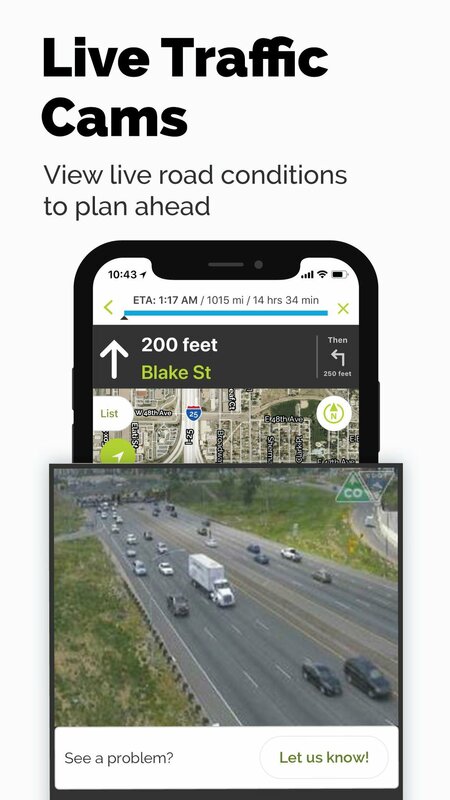 For one, the MapQuest app includes real-time traffic updates and even access to live traffic cams, so you'll always be in the know on what's going on with your morning commute. Real-time traffic updates help you find alternative routes if it's getting busy, and you can also mark favorite locations with custom icons. MapQuest even has a speed limit display, so there's no excuse for getting a speeding ticket. 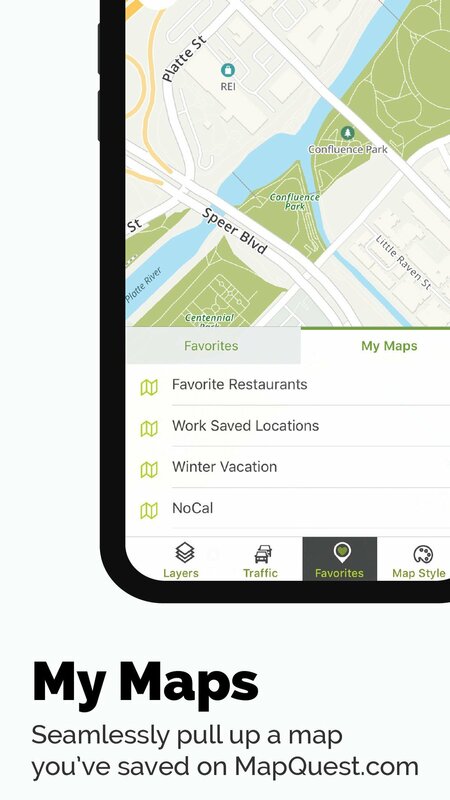 Other useful things MapQuest can do include getting you on-demand roadside assistance, find great hotel deals and book them directly, and even view local weather. 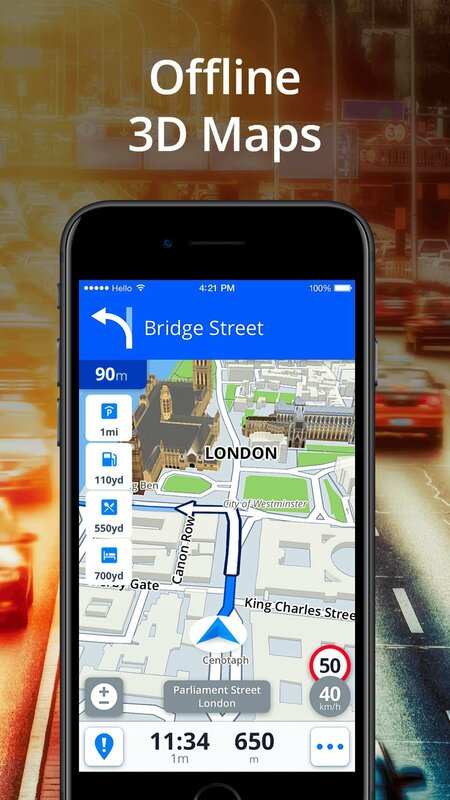 Sygic claims to be the "world's most advanced navigation app," and for good reason. Sygic has maps of all countries in the world from sources like TomTom and other providers, and they can all be downloaded for offline use (just have the space for it). Every map receives several updates per year, so you'll always have the most up-to-date and accurate maps available. The turn-by-turn directions are also incredibly precise, even telling you what lane to be in for upcoming turns, and you hear street names pronounced accurately so no mishaps occur. Sygic has a database of over a million points of interest, so it's easy to find your next place to eat or sleep at. There are advanced safety features that make it easier and safer when you're driving in unfamiliar territories, such as Dynamic Lane Assistant to guide you into the correct lane. 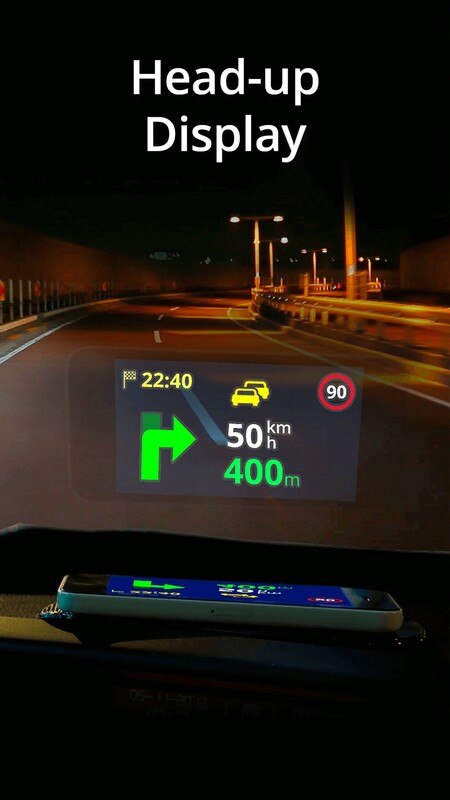 There's also a Head-Up Display (HUD) add-on that you can purchase, which projects the screen up onto your windshield, so night driving is safer. There are a lot of reasons to use Sygic, and while it's free to download but additional features come at a cost, it's well worth the investment. When you're on a budget but still want a great mapping app, then give MAPS.ME a download. The app includes every single map available for free, just with some ads that aren't too intrusive. You also get offline access, navigation, and completely up-to-date maps through OpenStreetMap. MAPS.ME comes with a packed database of points of interest to search through, and you can even see hiking trails and other things that other map apps don't include. The navigation options also include cycling, walking, public transportation, and taxi. 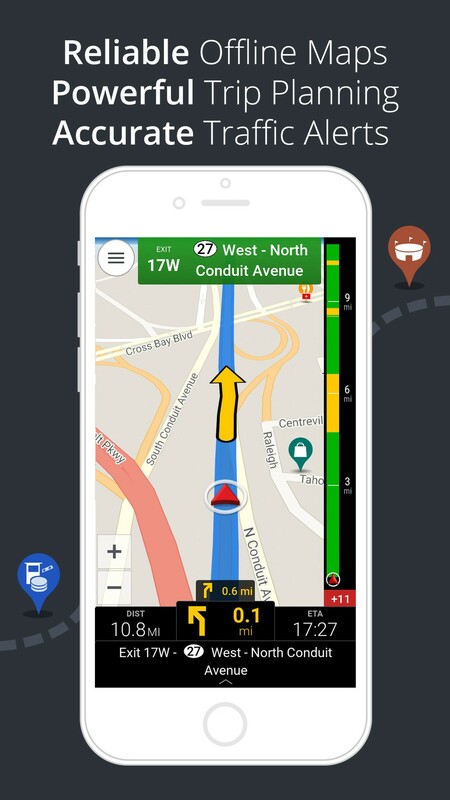 CoPilot is used by 16 million drivers, emergency services personnel, and professional delivery fleets worldwide. The app is free to download, but you can purchase additional maps as needed. 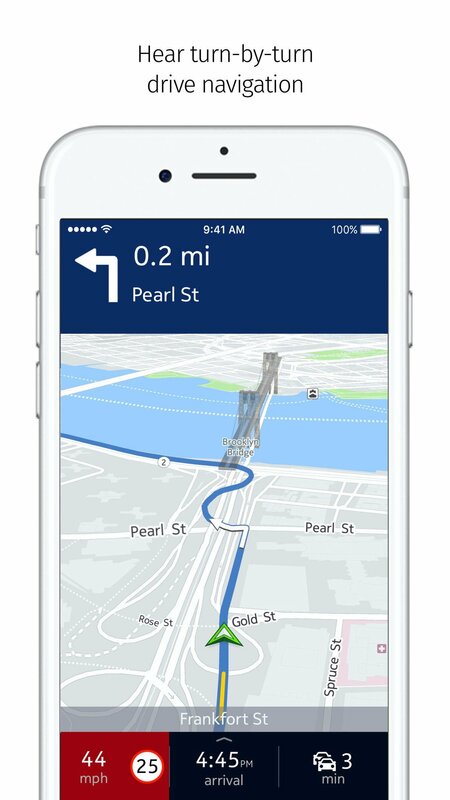 It has the capability of downloading all maps for offline access, provides driver friendly directions with clear driving views, easy to read instructions, and fluid, uncluttered maps. Your next road trip can also be done entirely with CoPilot, as drivers can include up to 100 stops on a single multi-stop route. And CoPilot tells you which lane you should be in for safe turns, eliminating those dangerous lane changes. The free download includes limited navigation access. To get unlimited navigation, it's a one-time in-app purchase of $9.99. Other maps can be purchased at varying prices. 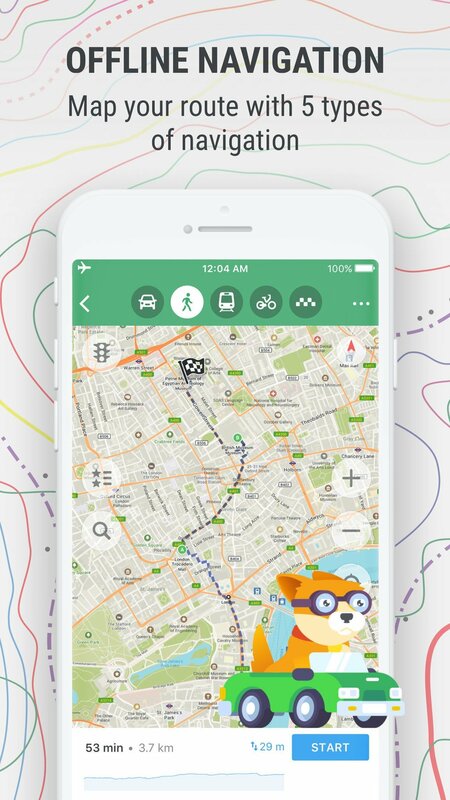 These are some of the best mapping apps we've found on the iPhone. Personally, I just use Apple Maps most of the time because I enjoy the turning indicators on my Apple Watch, but honestly, I question when Siri tells me to go straight past a light and make a U-turn later when turning left would have sufficed. Thankfully there are plenty of other options available on the App Store! 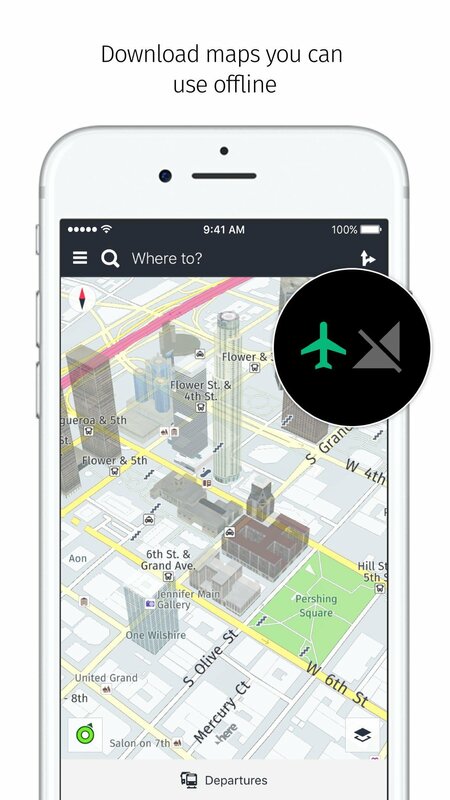 What are you using for maps on your iPhone? Let us know in the comments!